Keeping your daily intake of sodium under control is one way to promote Alzheimer’s prevention. But, it can be a real challenge, particularly if you eat a lot of prepared foods or eat out frequently. Canned foods, breads, pastries, packaged snack foods, deli meats, and other prepared food items are usually loaded with sodium. Just one serving of many of these packaged foods would most likely put a person over the recommended daily sodium intake level for optimal heart health. Reading labels is vital to keeping sodium intake within recommended levels. Eating fresh, non- processed foods is a key aspect of controlling salt and sodium intake, because processed and ready- made foods usually have such a high sodium content. A good way to reduce your consumption of sodium is to prepare your own food or read nutrition labels on prepared foods so you can choose low sodium options. Substituting herbs and spices for salt can help enhance the flavor of foods. Be cautious when using salt substitutes. Most salt substitutes contain potassium chloride, which can be dangerous, particularly for people with kidney problems and those taking some types of high blood pressure medications. The very conditions that cause a person to seek out a low sodium diet may be exacerbated by swapping table salt for some salt substitutes. While it’s true that potassium is healthy, it’s important to get dietary potassium from foods high in this essential nutrient, such as potatoes, beans, yogurt and many fruits and vegetables. A good way to reduce your consumption of sodium is to prepare your own food or read nutrition labels on prepared foods so you can choose low sodium options. In conclusion, with all of the evidence on the health hazards of eating too much sodium, it’s hard to ignore the benefits of a low sodium diet over the long run. Hopefully in the future, the high sodium food fad will decline in the United States. Longer term clinical trials, comparing people on diets with various amounts of sodium, are needed to better understand just how much sodium is optimal for varying groups of people and different medical conditions. Overall, when you crave salty foods, be aware that it’s a learned behavior and that in time, the desire to eat high salt foods can be overcome. The benefits of implementing a lower sodium diet for optimal heart and brain health are worth the effort. 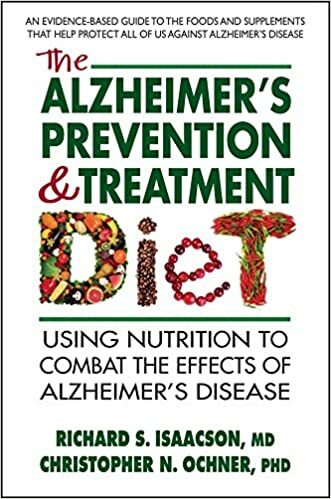 Learn more about foods for the Alzheimer’s diet by CLICKING HERE to view the book Alzheimer’s Treatment and Prevention, written by Harvard trained neurologist, Dr. Richard Isaacson. » To Salt or Not to Salt: How Much Salt is Recommended for Alzheimer’s Prevention?